P.S. Bar and Kitchen serves superbly fresh produce, all sourced directly from King Island and Flinders Island in Tasmania. We loved visiting for brunch where we sampled a couple of stunning Huon Salmon dishes. The Cured Huon Ocean Trout Croissant was stunning. 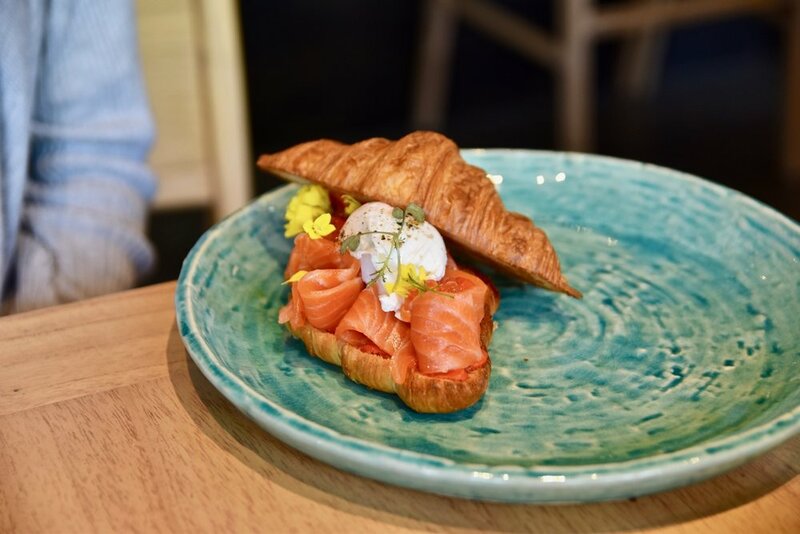 Flaky croissant was topped with glistening cured Huon Ocean Trout and pearls of salmon roe, red pepper soubise and finished with a poached egg encasing dripping yolk. Simply yum! The Organic Quinoa salad with pan-seared Huon Salmon was similarly gratifying. 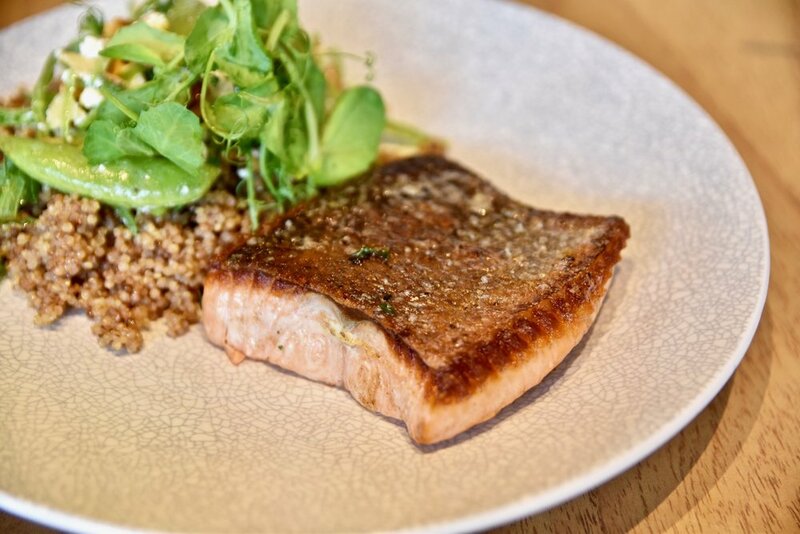 We loved the beautiful amalgamation of the quinoa, snow peas, sugar snaps, fetta and toasted almonds which went beautifully with the perfectly cooked Huon Salmon which tasted exceedingly fresh. Find out more about Huon Salmon here.